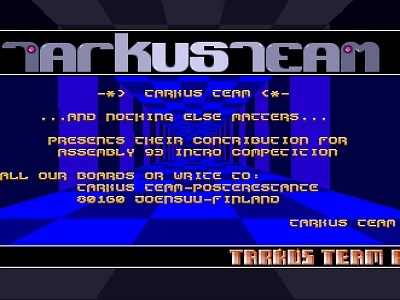 Tarkus Team was one of the lamest groups ever on Amiga but from time to time surprisingly good stuff was released. This intro belongs to that category. page created in 0.075745 seconds with 15 queries.